Wash and cut up the fruit. You can dice it or leave it whole. 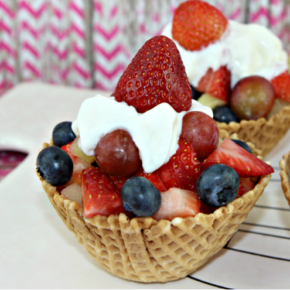 Arrange the fruit in each waffle bowl and then top with whipped cream. TIP: To prevent the bowls from getting soggy, don't prepare the fruit cups until you are ready to serve them.